Ring knows a little bit about smart home devices, with its Video Doorbell previously bagging T3's prestigious Editor's Choice gong at the T3 Awards. 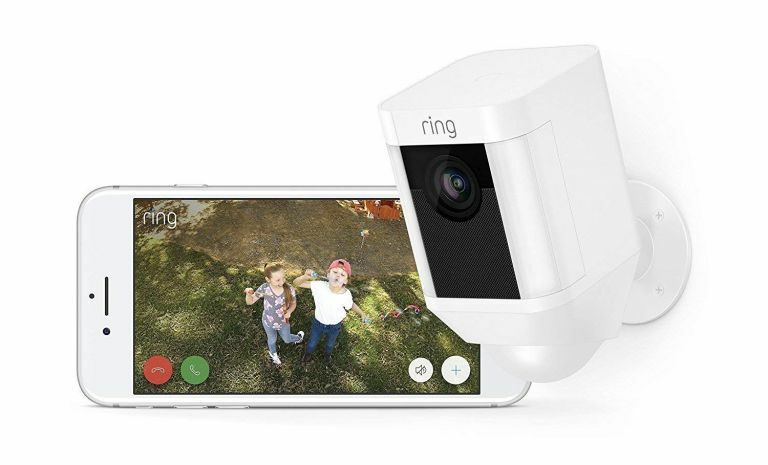 Which is why this sweet deal on its Ring Spotlight security camera from AO.com has firmly grabbed our attention, with the retailer currently offering the rechargeable battery edition of the Spotlight for a gigantic £80 less than usual. And, be under no illusion, the Ring Spotlight Cam comes with many of the top features you should be looking for in a smart security camera, including motion detection, night vision, and two-way audio communication. A two-year warranty, long-lasting rechargeable battery, and wide-angle lens field of view complete a very tidy and, thanks to this sweet price drop, incredibly affordable smart security camera package. If you're currently looking to upgrade your home with great smart home tech, be sure to also check out T3's best smart thermostats, best smart bulbs, and best smart plugs guides, too.